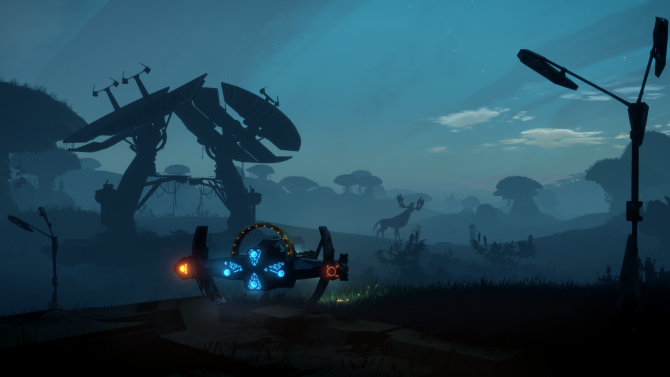 Ubisoft's first foray into the toys-to-life genre may be late but Starlink: Battle for Atlas is a solid first attempt to reinvigorate the genre. The past few years haven’t been great for the toys-to-life genre. Games like Disney Infinity and Lego Dimensions have both ceased production despite having some of the world’s leading entertainment properties tied to them. Even the Skylanders series hasn’t received a new iteration since 2016; prior to that, the series was annualized since 2011. So, when Ubisoft announced they would be joining the toys-to-life craze at E3 2017 with Starlink: Battle for Atlas, I couldn’t help but think they were a bit late. Although that statement still rings true today, Ubisoft’s first foray into the once popular genre may have just stirred the pot enough to get people talking about toys-to-life once again. The story of Starlink: Battle for Atlas is simple. There is a bad alien named Grax who wants to take control of the entire galaxy, with the help of an evil robotic army known as Legion, and needs a resource known as Nova. Your Captain, Victor St. Grand, has created technology that can reproduce the resource, so naturally, Grax crashes into your mothership, the Equinox, and captures him. It is your job get St. Grand back to the Equinox and stop Grax from whatever nefarious plan he has cooked up. The story – which took me around 13 or 14 hours to beat – is enjoyable but it isn’t anything you haven’t seen before. You won’t be floored or surprised with the storytelling by any means. What makes it enjoyable is the Starlink Initiative’s crew. Each pilot is likable and has their own backstory that you can sympathize. It never felt like one crew member was clearly singled out as the favorite. Each character gets their time in the limelight in some capacity. Where Starlink: Battle for Atlas shines is its gameplay. The basics are pretty simple. You’ll use both the left and right triggers to shoot your weapons, both thumbsticks to control your movement for both flight and ground modes, and the A button (for context, I played on the Nintendo Switch) to perform quick dodges and boosts. If you’ve played any air combat game or third person shooter, you’ll pick it up pretty quickly. 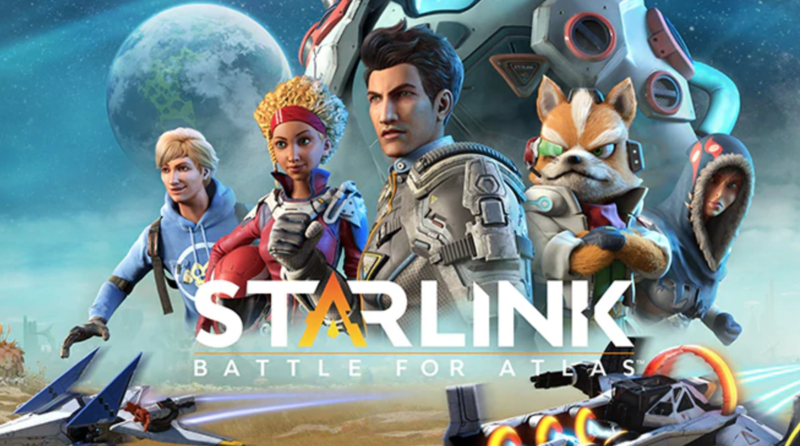 One contributing factor for people wanting to play Starlink: Battle for Atlas may be Fox McCloud and the Star Fox fleet’s inclusion in the Nintendo Switch version of the game. 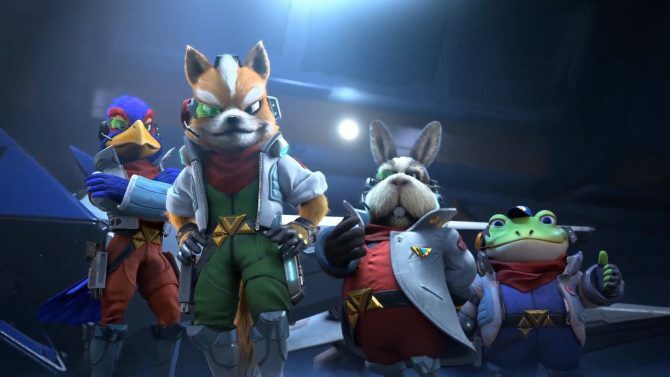 In the Switch version, Fox and his crew do play as much of a role in stopping the Legion threat as any of the crew members in the actual Starlink Initiative. Some of the cutscenes will even feature the anthropomorphic crew interacting with the rest of the pilots like they were meant to be there. It does feel disjointed at times but Ubisoft integrates the legendary crew into the game pretty well. The pilot and ship I used throughout my time with Starlink: Battle for Atlas was Fox and his Arwing. His ship is the only one that can be used without attaching any of the elemental weapons to it. Instead, you’ll be able to use the blasters the Arwing is known for, even letting you do a charged blast just like in the Star Fox games. 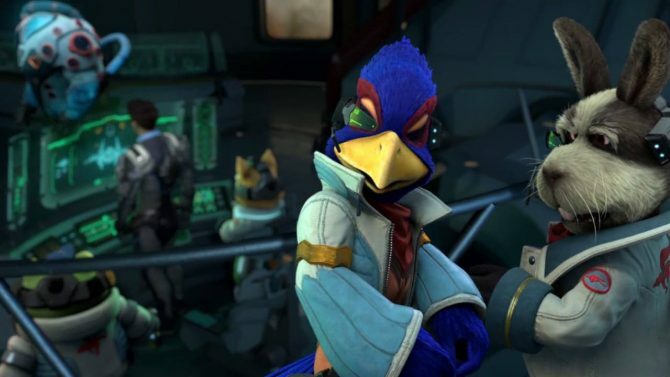 Using Fox’s special ability will also queue one of the most recognizable Star Fox tracks and call in Falco, Slippy, or Peppy to aid you when you’re having a hard time. However, using the blasters are not a real effective way to play. I tried to play this way but you really do need to experiment with elemental abilities to really be successful in any enemy encounter. Pairing the blasters with another weapon attachment is a viable option but just using the blasters will only get yourself killed. The Star Fox fleet’s inclusion is great and makes me want an open-world Star Fox game set in the Lylat system. It never really felt forced or hamfisted in any way. If anything, Fox and the boys seemed right at home with the Starlink Initiative. Things get a bit more complex with the numerous systems attached to the various pilots, ships, and weapons you can use. Starlink: Battle for Atlas has a surprising amount of depth, especially for a game aimed towards kids. Each pilot has its own special ability and skill tree unique to them. Each time you level a pilot, you’ll earn a skill point to use on the tree which will grant you stat buffs. Every ship has different stats that are indicative of its class. For example, the Neptune is a heavier ship which makes it a bit slower and less maneuverable but makes up for it with how well it can take hits. The Lance, on the other hand, is a much lighter making it great for moving quickly and dodging enemy attacks but it is significantly weaker. The base stats your ships get are determined by its body. However, you can mix and match any set of wings with any ship. You can also place them in any position you want. So, if you want to use a ship with an Arwing body but with a set of wings from the heavy Neptune ship and another from the Lance ship, you can do that. Furthering your ship’s performance can be done with mods that you’ll earn as you complete missions throughout your adventures. 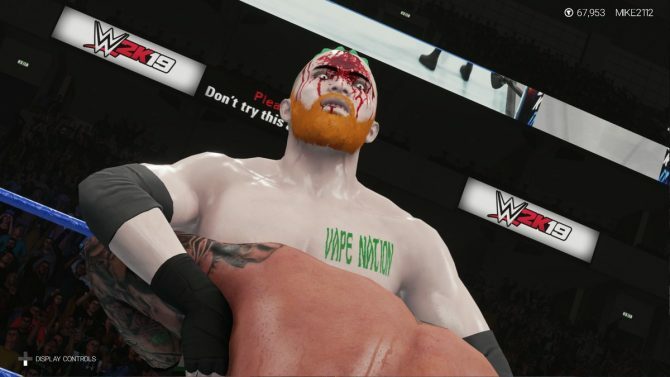 Each mod is categorized by a color indicating its power and a type giving you an idea of what kind of buffs you’ll receive when using it. While the ship focuses on your defenses and maneuverability, your weapons dictate your attacks. Weapons are broken down into a few elemental types: heat, cold, gravity, stasis, and kinetic. These vary from single shot blasters to barrage missile launchers. You could choose just about whatever weapons you feel comfortable with but it does make the game significantly easier if you do some experimenting with certain combinations. By doing so may lead to finding one of many elemental combinations that do a ton of damage. One of the earliest combos you learn is thermal shock which is done by mixing a heat weapon with a cold weapon. That initial discovery of executing that combo and then seeing your foe crumble instantly is so satisfying and led me to diversify my play style. Knowing the elements are important considering that some enemies may have a specialization in a particular element. Some Legion enemies may specialize in cold attacks. Hitting that particular enemy with heat attacks will generate more damage, making each encounter a piece of cake even if you’re a level or two down. Not to say there aren’t any challenging moments. There were plenty of times the Legion forces got the best of me. However, I did find one loophole that makes each encounter doable despite the level it is. If you just switch ships when your ship is about to go down, you’ll start with full health again. If you wait a few seconds, the ship that was once damaged will be at full health again, and you can switch back whenever it’s convenient. It did take some of the excitement out of the encounters but there are points where the fight is really difficult even if you are the right level for the job. All of these elements are combined to create a truly customizable experience. Whether you’re using the toys to play – which way more comfortable than I expected – or playing digitally, you are given full control over how you play. The modular system of the ship is something different for the toys-to-life genre that reinvigorates something I thought to be effectively dead. All of this is presented within the Atlas system, an open-world waiting for you to explore. Starlink: Battle for Atlas presents a beautiful set of planets, each with its own unique look. It really can be a beautiful game at times with its vibrant colors and interesting world designs but playing on the Switch nullifies that notion. The overall look is just muddled with a short draw distance and less than stellar graphics. It does look better when your ship is on the ground but those problems are still noticeable nonetheless. While you are able to freely explore from the beginning, the first half of the game is fairly linear, pushing you to visit certain planets and teaching you everything you will need to know for the second half which really opens up, encouraging you to explore. One of the first things you’ll learn in Starlink: Battle for Atlas is how to build up your alliance with the people of Atlas. You’ll do this by either helping out an existing faction outpost or just building one yourself. There are four types of buildings: observatories, workshops, refineries, and armories. Each of these will provide a specific service that will aid you throughout your adventure. Befriending or building observatories will give you more planet visibility; refineries will give you a steady flow of electrum, the currency of Atlas; workshops produce new weapon mods for you to check out; armories help defend the planet from the Legion forces. These are also the places you’ll visit if you have any resources to trade or if you need any ships repaired. When you do trade in any resources, these outposts will level up, giving you even more benefits, and increasing your alliance with Atlas. In order to start actually building, you’ll need to defeat some of the Legion on a given planet. This will include imp hives, which give you a plot of land to build on, and destroying extractors and the colossal Prime units to retrieve their cores to produce Nova to help upgrade your ship, build more outposts, or upgrade the Equinox. Later on, destroying Primes will give you coordinates to the Legion’s dreadnoughts, the ships that are deploying much of the evil faction’s forces. The power struggle between you and the Legion is palpable. It feels like this force is living and its due to how each of these enemy types synergizes with each other. Dreadnoughts deploy Primes which also transfers it’s power back to the ship. Primes deploy extractors which give them electrum they need to fuel their entire operation; these extractors also feed its power to the Primes. In a sense, it acts as a food chain: destroying extractors will weaken Primes, destroying Primes will weaken Dreadnoughts, and so on. Strengthening your alliances and defeating the Legion forces are what make up the gameplay loop. You’ll go to a planet – which you’ll be able to either fast travel to or fly seamlessly in and out of – beat up some bad guys and build outposts to eradicate Atlas of the Legion for good. This loop does provide hours of gameplay if you want to rid the star system of the enemy threat but it’s incredibly repetitive. It seems a bit complicated at first but the threats on each planet are the same, just higher in difficulty depending on where you go. This loop is also a grind that takes just enough time to be considered too long. You are constantly farming resources to increase or decrease some bar on your HUD. The fights you’ll get into may last awhile, especially with Primes and Dreadnoughts, and seeing the little progress you make from such a challenging fight is just unrewarding. If there was a bit more variety with the loop rather than just doing the same thing over and over again, it would be much more enjoyable. 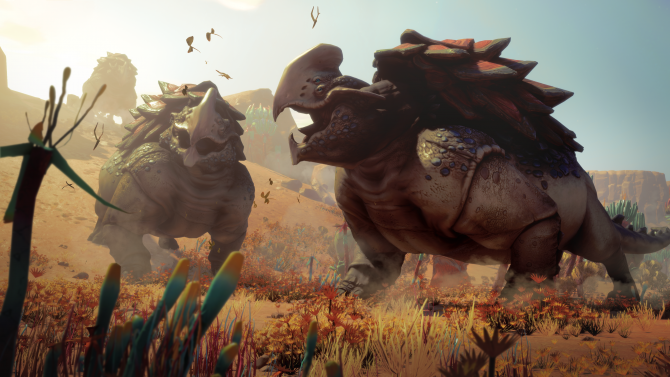 There are other things to do in Starlink: Battle for Atlas that does help further your progress. You can find Warden towers to collect better mods, destroying outlaw hideouts, and completing missions from your crew or one of your outposts. 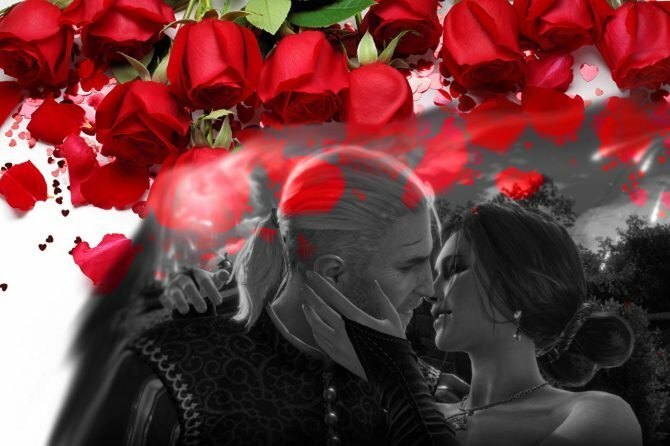 Again, it does provide more for you to do, especially if you’re not a high enough level to complete a certain part of the game but it doesn’t provide enough variety, playing out just like every other encounter you’ll have throughout your experience. Starlink: Battle for Atlas is a game built for my 10 year old self. I would have gone crazy for this game if I were a kid. The physical ships and pilots seem durable enough to take some abuse but also look good enough to be displayed on a shelf. The content in the actual game would have distracted me enough so my mother or father could take a break for a few hours. This is a game meant for kids and, in a way, can act as a gateway to RPGs with its abundance of systems and leveling bars. As an adult, it’s just a bit too repetitive and grindy. All the enemies and missions are essentially the same with slight variations, and the loop of building up your alliance and disrupting the hold the Legion has on Atlas is not satisfying enough to really want to do any more than you have to in order to finish the campaign. The gameplay is solid though and lets you truly play how you want to, allowing you to create the ships you want to use. Overall, Starlink: Battle for Atlas is a solid foundation if Ubisoft wants to make this into an ongoing franchise. Allowing you to play with or without the toys was a smart call, especially since if you’re playing on the Switch and don’t want to bring a bunch of toys with you. The world and characters they’ve created are intriguing enough for me to want to see more of it. If there was just a bit more variety, Starlink could be a fantastic franchise for both kids and adults alike. 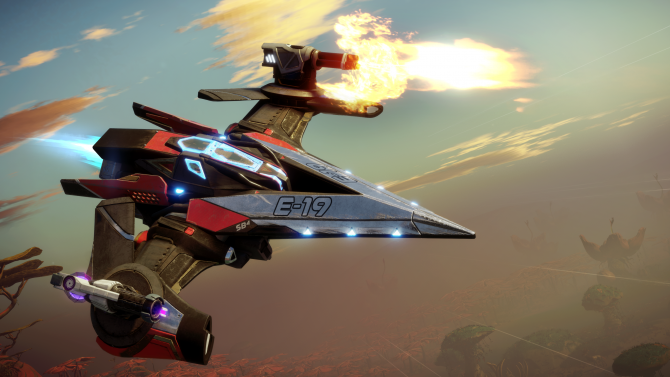 Ubisoft's toys-to-life game Starlink: Battle for Atlas shuts down production of physical toys to focus on digital content like upcoming Star Fox missions.